If 2005 was about getting BoA up and running and assembling the necessary pieces to become an esoteric stopping point in cyberspace, then 2006 would best be described as the year we stood up against the test of time. Looking back over the past year, one thing that was remarkably apparent was the sheer consistency of the BoA staff. 39 new K-Files, 43 new Grey Matters, 25 new Trickster's Realms, 51 new editions of the binnall report, 31 new episodes of BoA : Audio producing over 47 hours of esoteric radio, and 52 Hot Newz features, amongst the over 365 updates found @ binnallofamerica.com in 2006. 2006 saw Khyron of khyron.net fame, Lesley from The Debris Field, and R.Lee from the Orange Orb blog, each celebrate a year of work with BoA. Their tireless dedication throughout the year was imperative at keeping binnall of america at the forefront of esoteric news and opinion. In addition to that, BoA founding father Joe Vee and BoA friend Ralph Molesworth contributed columns during the BoA : Audio off-season, this past Summer, helping to add fresh perspectives on the esoteric landscape. I personally want to thank the BoA staff for making my job as de facto editor-in-chief so easy. It has been a joy to work with you and I'm looking forward to our collective future here at binnallofamerica.com. BoA expressly wishes to thank our great readers and listeners, those who have been with us for quite some time, and those who discovered us at some point in 2006. It is your support that keeps this website running and provides the opportunities for BoA to evolve. This site would be nothing without its remarkable audience, so thank you ! 2007 @ BoA will be a year filled with more esoteric news and opinion, more underground audio interviews with big names in esoterica, and more of that off-kilter perspective unique to binnallofamerica.com. We also have big plans for exciting new projects that will take shape in the coming year and will bring the BoA brand to greater heights than ever before. So stick around, because the next 12 months should be one wild ride. Join us now in a look back at some of the highlights of 2006 @ binnallofamerica.com. 2006 began with binnall's 2005 : The Year in Coast. We were all over the Sylvia Browne Meltdown in all its gruesome detail. After one year, News Watch was officially retired @ BoA. Khyron's The K-Files celebrated its one year anniversary. binnall covered George Noory's pay-per-view predictions special with both Analysis and Play-by-Play. 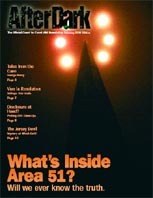 binnall pens the article "Chasing Disclosure" for Coast to Coast AM's "After Dark" magazine. BoA : Audio welcomed Loren Coleman to the show. R.Lee of Trickster's Realm began her major project Women in UFO and Paranormal Research. Hot Newz celebrated St.Patrick's Day and determined Ian Punnett's origins. BoA : Audio discussed the Spear of Destiny with Jerry E. Smith in a two part interview. Lesley reacted to the Charlie Sheen 911 story in Grey Matters. Khyron's The K-Files morphs into a feature length column style. The first of two BoA specials, Viral Esoterica, "aired". 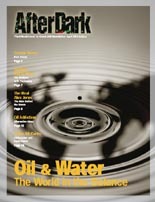 binnall's interview with Alex Jones is published in "After Dark" magazine. Lesley celebrates one year @ BoA with Grey Matters : A Year Gone By. binnall is named one of Ufology's Generation Now by Paul Kimball. BoA special, Viral Esoterica : International, "aired". BoA was possessed on 6.6.6, but managed to fend off the demons, thanks to our exorcist. Joe Vee emerged from the shadows to kick off the Wrath of Joe summer session. BoA friend Ralph Molesworth provided us an in-depth report on MUFON's annual symposium. Khryon was ahead of the curve, covering the impending SETI - Shostak feud in K-Files. Ralph Molesworth penned the first of seven Tall Tales for BoA. BoA responded to the SETI v. Shostak feud with coverage in Hot Newz, the binnall report, Grey Matters, and The K-Files. Khyron took us behind the scened @ The K-Files. Hot Newz celebrated edition # 100. The BoA staff looked at the 5th anniversary of 911 in Grey Matters and The K-Files. BoA : Audio, Season Two had its season premiere with Jim Marrs. Art Bell's new wife was pregnant and Khyron celebrated it in The K-Files and binnall lampooned it in Hot Newz. the binnall report commemorated two years of esoteric madness. A BoA annual tradition was continued with 12 Guests C2C Needs, Revisited and 2006's 12 Guests C2C Needs. binnall went to Las Vegas for the UFO Crash Retrieval Conference IV, bringing back a full recap and pictures, courtesy of Ralph Molesworth. R.Lee's Trickster's Realm penned the critically acclaimed Bigfoot and High Strangeness. Paola Harris appeared on a special expanded edition of BoA : Audio. Hot Newz kicked off Coastie season with the first of five Commemorative Posters. BoA finished up it's UFO CRC coverage with the BoA : Audio UFO Crash Retrieval Conference Special. Lesley of Grey Matters began her major project International UFO Links. The BoA : Audio tradition continued with our Christmas Special featuring Stanton Friedman. The 2006 Coastie Winners were revealed. The complete list of over 365 updates for 2006 @ BoA can be found here.